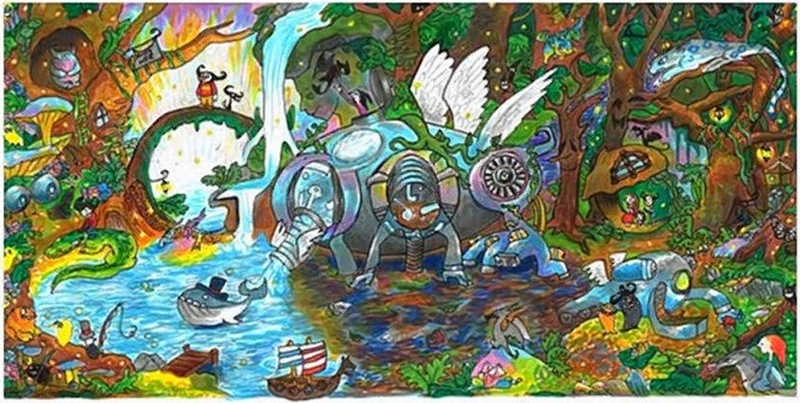 11-year-old Audrey Zhang of Long Island won the 2014 Doodle 4 Google competition with her drawing of a futuristic water purifier. The folks at Google helped Audrey turn her doodle into a moving animation. She was rewarded with a $30,000 college scholarship and a $50,000 grant for her school.